Recently I wrote an article about the smartphone wars, and did my best to present all the best options available to consumers. This article has also made me think about all the other technology options available to the average consumer. It is obvious now, that when it comes to search engines, smartphones, tablets, laptops, desktops, and all the other technology we touch every day. Your choice is quickly narrowing down to the top three vendors, Microsoft, Google, and Apple. This trend will only keep growing. Smartphones were just the beginning, now Microsoft is getting into hardware with their new tablet, and rumored smartphone. Google is launching its own operating system and is also introducing its own tablet and cloud based laptop. Microsoft also announced that they were getting into the music business. Apple is facing more and more competition from both Google and Microsoft. Competition is good, as it generally bring more innovation and lower prices. However, I am afraid to make a commitment to one of these vendors, but I feel I am being pushed in that direction. I use a mix of technologies today, I have an iPhone, a Windows PC, and I use a ton of Google applications. Would my life be any easier if I just made the plunge and went all in with just one vendor? 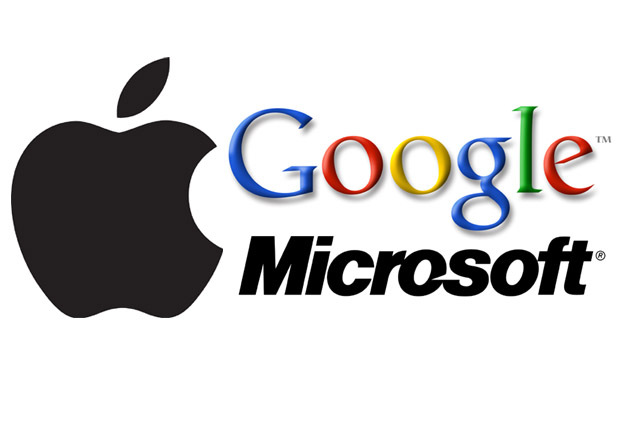 Who would you bet on for the future ........Microsoft, Google, or Apple?